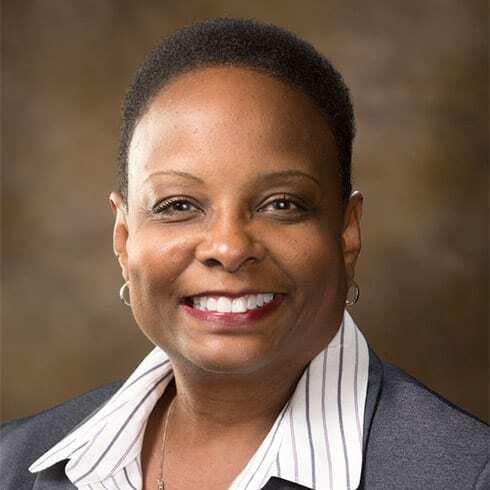 Dr. Yvette Murphy-Erby , Vice Chancellor for Diversity and Inclusion, spoke with faculty about how important it is to encourage a culture and climate of inclusion and diversity on the University of Arkansas campus. This conversation started with a reminder of why this work is so important and an overview with definitions, so we were all on the same page. This affects the business’s bottom line. Every student has a better experience when they learn in a diverse environment. Accreditation – This is a standard of diversity that your department or the university must meet, or they may be shut down. There are legal requirements that we need to meet. There is a huge Demographic Shift coming and it’s coming even faster than predicted. The population shift will happen in 2025. These students will be entering the workforce and we want to attract diverse students and prepare them for a diverse workforce. This is also a part of our identity as a land grant university – we have a responsibility to give back. We are the only Research One university in the state of Arkansas – again, we have a responsibility to give back! This is one of our campus priorities – we have a responsibility to LEAD. We also need to understand the difference between key terms – these definitions help us think about how diverse students may have different needs and how we can contribute to that support. Diversity: Diversity refers to all the ways in which people differ. Put simply, diversity refers to all the characteristics that make individuals different from each other, and in its most basic form refers to heterogeneity. Inclusion: Inclusion exists when traditionally marginalized individuals and groups feel a sense of belonging and are empowered to participate in majority culture as full and valued members. Equity: Historically equity refers to the process of creating equivalent outcomes (not the same as treating everyone the same) for members of historically underrepresented and oppressed individuals and groups. Equity is about ending systemic discrimination against people based on their identity or background. Access: The ability to attain the necessary resources to succeed. When you are creating activities and assessments it’s important to keep these definitions and concepts in mind – this will help all of your students to be successful! When you start on this work you need to remember that this is a journey and not a destination. You will work on this every day and continue to focus on better outcomes. We all need to be a part of this process. Our senior leadership has recognized how important this is and is encouraging us to all learn and participate – and they are engaged and ready to lead too! So, what can we do? We can confront our frustrations and step outside our comfort zones. We can think from a different perspective. We can be Agents of Change. Let the diversity team know if you have concerns or if you want to join the U of A Inclusion and Diversity Champion Team. It takes all of us to move our students, university, and state forward! This content was developed from a presentation by Yvette Murphy-Erby which was sponsored by the The Wally Cordes Teaching and Faculty Support Center (TFSC) at the University of Arkansas.